In two commentaries, one covering Psalms 1-72 and the other Psalms 73-150, Dianne Bergant examines the theological and historical circumstances from which the psalms originated. She reveals how the psalms were intended for instruction as well as prayer, and helps us experience their lyrical nature. In a fresh encounter with these poems of lament, hymns of praise, and prayers of thanksgiving, readers gain a new appreciation for these ancient texts, remembering that God - who dwells with us still - is "gracious and merciful, slow to anger and abounding in mercy" (Pss 145:8). 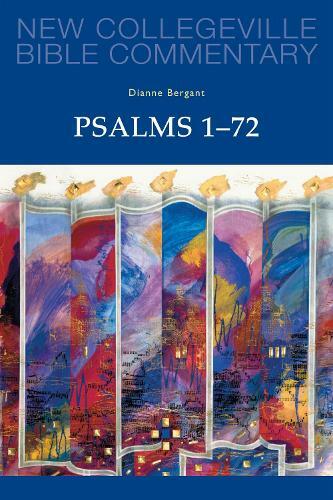 Dianne Bergant's commentary on Psalms 1-72 invites readers to pray through these lyrical, poetic texts and to meet the complex, transcendent, and gracious God whom they address. The Psalms offer profound resources to help us come to terms with our failures, sufferings, and challenges, and to celebrate in praise the joys of daily life. Writing clearly, Bergant explains difficult words and concepts and invites us to make these prayers a lamp for our eyes and a light for our feet. The introduction provides an excellent overview of the origin, types and theology of the Psalms as well as their use today. The identification of the types of each Psalm and insightful information offer rich reflection for an individual or group. The review aids and discussion questions are helpful for a bible study group. Citations of the Catechism of the Catholic Church connect these ancient prayers to contemporary catechesis. I highly recommend this for parish use. Dianne Bergant offers us a succinct commentary on the inspired hymns of ancient Israel. Conscious of expressions and attitudes which might trouble contemporary sensitivities, she explores their deeper insights in order to incorporate them more readily into the prayers and aspirations of modern Christian adults. She allows them to speak in their own vital idiom without imposing Christian piety upon their heartfelt pleas.